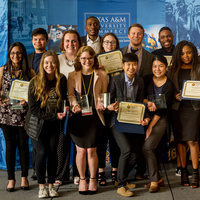 Registration for the 2019 A&M-Commerce Annual Research Symposium is now open! For more information about registration and presentation guidelines go to www.tamuc.edu/ARS. Deadline for registration: Monday, March 11, 2019. If you have questions or would like more information, please go to www.tamuc.edu/ARS or email ARS@tamuc.edu.